We make a booking for only who plan to stay over 2weeks. 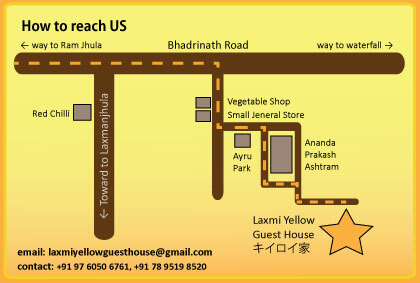 It`s about 10min walk from auto stands at luxman juhla Badrinarth road,it`s close to Ananda Prakash Ashram. Copyright © life, travel ,and supernature All Rights Reserved.